good quality compared to the price. relatively well equipped kitchen. Good location, spacious and ample private parking. Very Spacious Properties. Nice views and free underground parking. Apartment clean and fresh towels during the week. Balcony great for catching afternoon sun. Late checkout for a nominal extra cost was very helpful as we had an evening flight. Amazing view, free parking. Apartment well appointed. Walk up from the centre not for the unfit or faint hearten. Taxi from town only 5 euro. The view from the balcony is great. Our appartment has 2 different balcony floors with tables and chairs. Perfect to catch some sun in the morning. 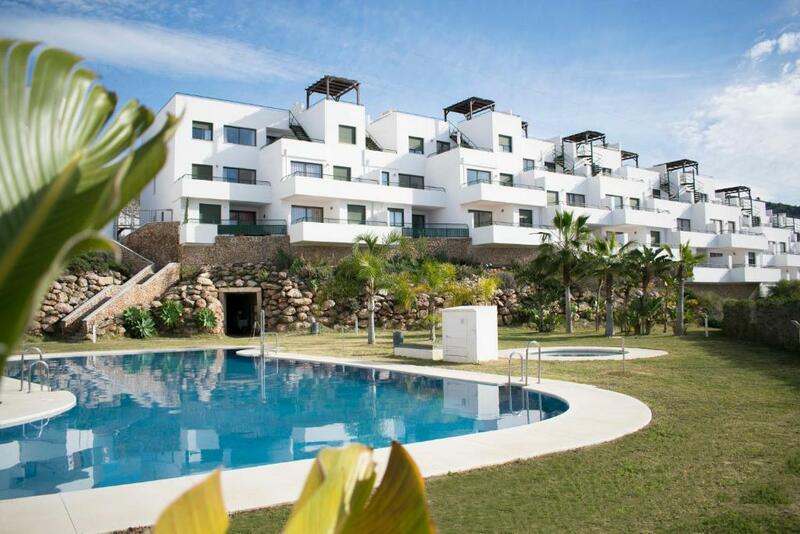 One of our top picks in Nerja.Situated in the hills above the charming town of Nerja, Apartamentos Turísticos Resort de Nerja offers an outdoor pool and gardens. 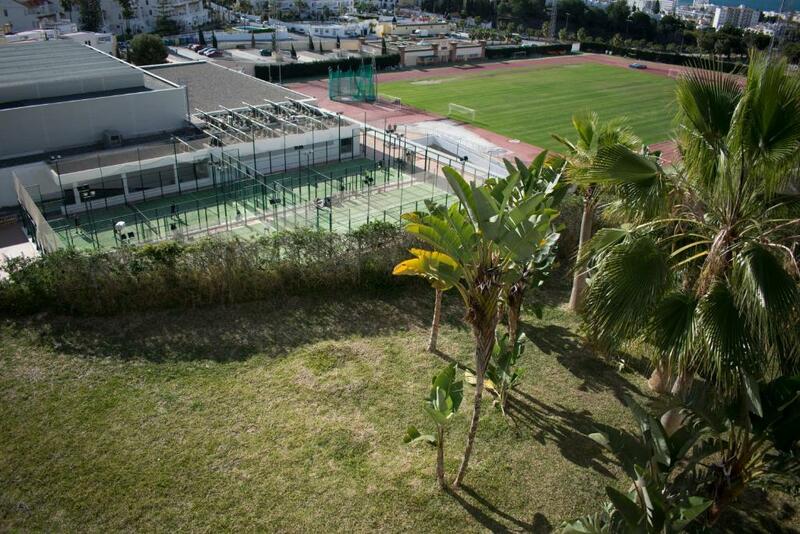 Each air-conditioned apartment has a private terrace with wonderful sea views. 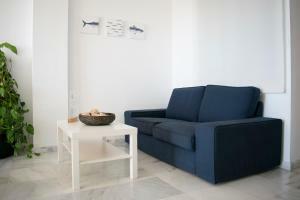 The bright, modern apartments include a living-dining room with a sofa bed and flat-screen cable TV. Kitchens feature a microwave, oven, hob and coffee maker, as well as a washing machine. Several bars, restaurants and grocery stores can be found within a 5-minute walk of the Mar de Nerja complex. Burriana Beach and the historic centre of Nerja are just 0.9 miles away. Free parking can be found near Apartamentos Turísticos Resort de Nerja, and there is easy access to the A-7 Motorway. 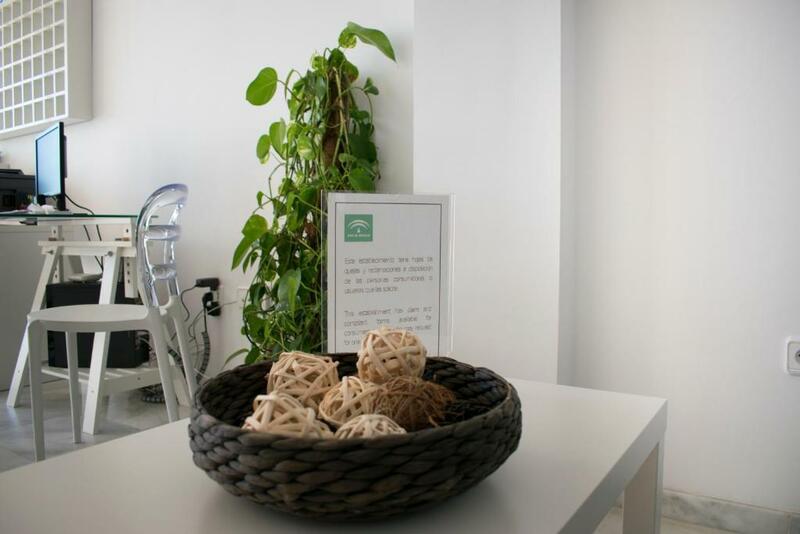 Málaga is a 30-minute drive away, while Málaga Airport is 45 minutes away. Apartamentos Turísticos Resort de Nerja has been welcoming Booking.com guests since 15 Jun 2012. 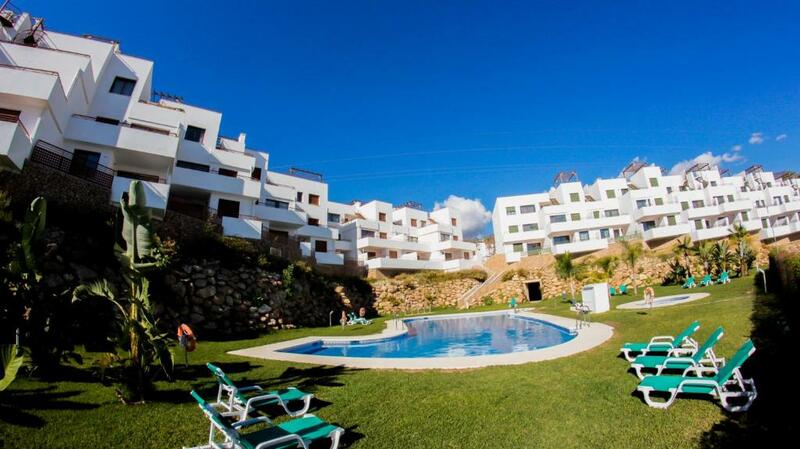 When would you like to stay at Apartamentos Turísticos Resort de Nerja? This bright, air-conditioned apartment has a private terrace with wonderful sea views. It includes a twin bedroom, a modern bathroom and a living-dining room with a sofa bed and flat-screen cable TV. The kitchen features a microwave, oven, hob and coffee maker, as well as a washing machine. This bright, air-conditioned apartment has a private terrace with wonderful sea views. It includes 2 twin bedrooms, a modern bathroom and a living-dining room with a sofa bed and flat-screen cable TV. The kitchen features a microwave, oven, hob and coffee maker, as well as a washing machine. 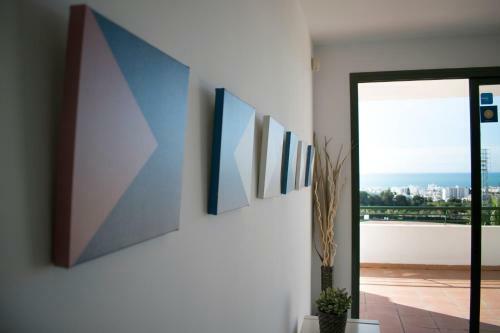 This bright, air-conditioned apartment has a private terrace with wonderful sea views. It includes 3 twin bedrooms, a modern bathroom and a living-dining room with a sofa bed and flat-screen cable TV. The kitchen features a microwave, oven, hob and coffee maker, as well as a washing machine. Los apartamentos Resort de Nerja se encuentran situados en Nerja, zona privilegiada de la costa del sol. En Nerja disponemos de todos los servicios de calidad que pueda necesitar durante sus vacaciones. Con playas extensas donde disfrutar un día en familia, pero no solo eso, Nerja le ofrece múltiples posibilidades de ocio y es un lugar especialmente indicado para practicar deportes acuáticos como , piragüismo, senderismo, escalada , parapente, rutas en bici, golf, buceo, pádel surf y kitesurf. House rules Apartamentos Turísticos Resort de Nerja takes special requests - add in the next step! 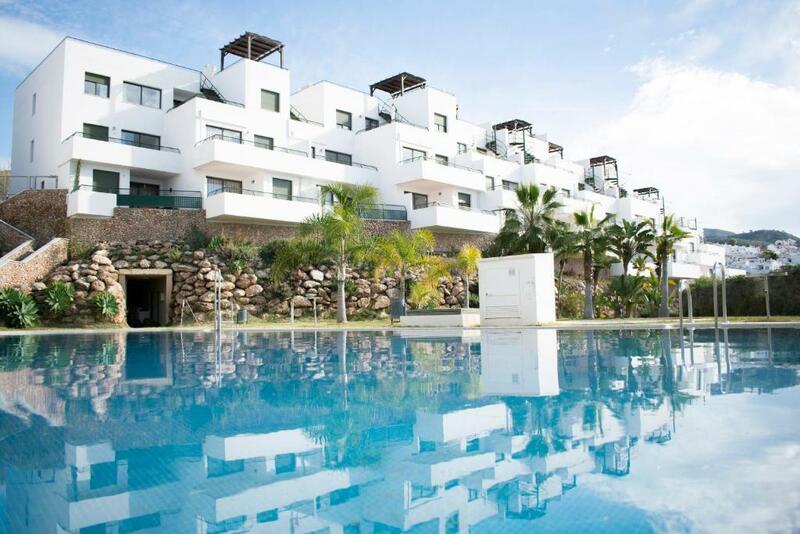 Apartamentos Turísticos Resort de Nerja accepts these cards and reserves the right to temporarily hold an amount prior to arrival. A damage deposit of EUR 100 is required upon arrival. That's about 86.62GBP. This deposit is fully refundable upon check out as long as there has been no damage to the property. Please inform Apartamentos Turísticos Resort de Nerja in advance of your expected arrival time. You can use the Special Requests box when booking, or contact the property directly with the contact details provided in your confirmation. Start of season place could do with a paint. Found it difficult to find even though we were there last year. View spectacular. Good car park underneath. Underground parking ramp very steep. From entering the room smelt very strongly of cigarette smoke. Headboard in the bedroom seems like it has seen quite a bit of ‘action’. Sheets not as clean as they could have been with a few small marks. Very noisy apartments, you will hear exactly what’s going on next door. Definitely need a car to get down into town, don’t stay here if you don’t have one. Good size room with a large kitchen. Rooftop terrace was a nice bonus. Free parking was very good. Bathroom was bit smelly and needs some renovation work, but overall OK.
Dust in places. No supermarket near the hotel. We had to drive to buy food. So much noise from rooms above, below and to the side. Very hard to get off to sleep at night. Overall very basic and a bit of a trek into town. The bathroom had a bad stench. Really need a car as slightly to fat to walk from shops and attractions. No kettle in apartment-when inquired at property said not used in Spain - think kettle a necessity for all especially in tourist accommodation. Also no bottle opener....another necessity on holidays! Was promised one but never arrived- thanks to the really friendly owner of the nearby Courtyard Restaurant for coming to our rescue! Bought one in the end. Not suitable for elderly or young kids/buggies. It was a bit further out from beach/town of Nerja than we thought-be prepared for walking/taxi costs especially at night when dark. No duvet covets on duvets. My Wife and I have been to this property 3 times in the last 2 years and we can't think of anything we didn't like! The great view from the terrace. The layout of the apartment. Comfortable beds. Full kitchen. Very clean . Great outdoor pool. Very easy check in. Free underground parking. Reasonably priced. Outdoor furniture could be replaced and extended. You can lock yourself out by accidentally closing the door to the terrace.